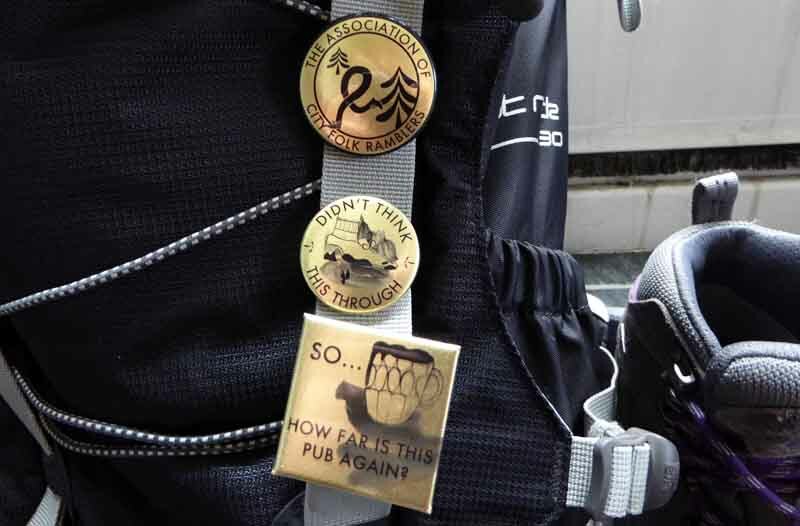 When we think about badges we imagine them on a jacket, on a denim windcheater or perhaps a bag or a rucksack; all these are typical places that come to mind when we have a badge in our hand. 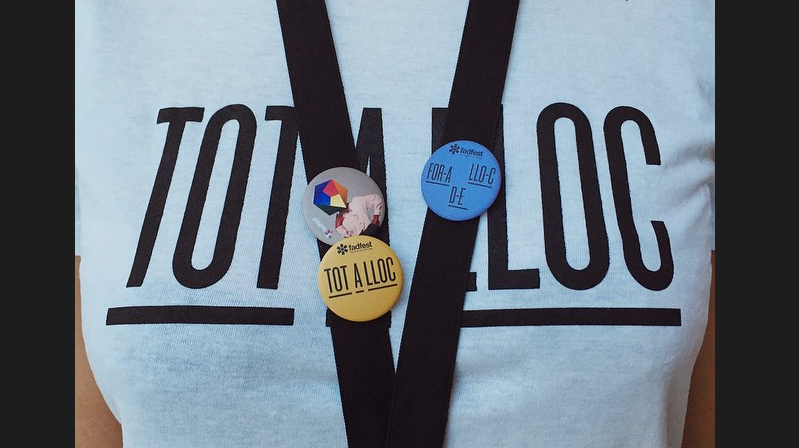 At Camaloon, given our experience with badges, we try to think about more exotic places, we look into new ways of using and placing badges, especially thanks to the number of ideas we receive every day from our customers. And here we are going to show you some of these ideas. 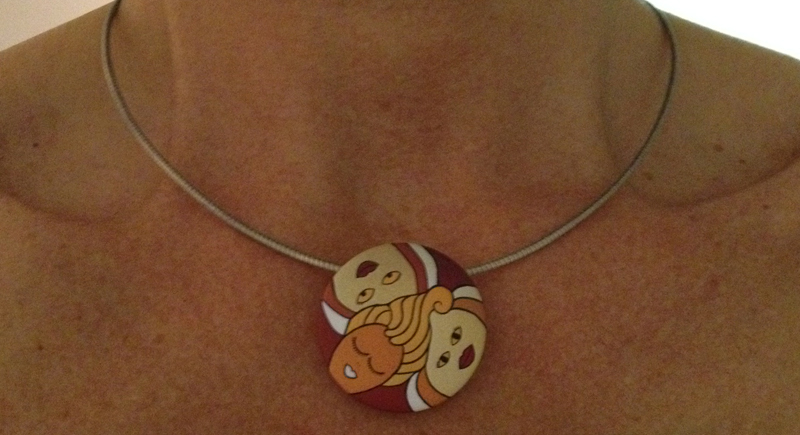 Helen, una de nuestras clientas holandesas, nos envió esta foto que nos muestra un nuevo uso de la chapa: utilizarla como parte de un collar. Nos pareció una idea muy original y sorprendente, además Helen le ha dado un doble uso a la chapa. Desde Leeds Lisa nos envía esta foto justo antes de lanzarse a otra de sus aventuras por las montañas. Nuestra amiga ha creado chapas con frases motivacionales que ha puesto en su mochila de senderismo para animarse en su aventura, el complemento perfecto para completar el equipo de trekking. ¿Quién sabe dónde está el pub más cercano? 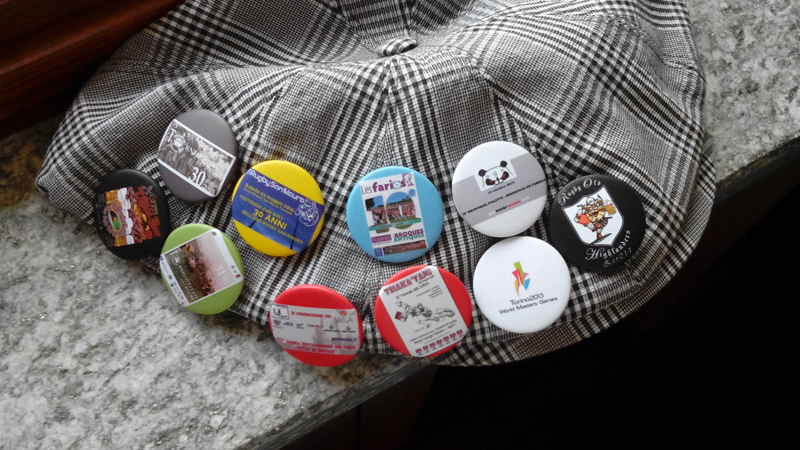 From Italy, the home of fashion and style, comes a trendy idea for putting badges on a coppola (a typical Italian cap). In this case Marco decided to give it a modern touch and put badges on his cap, one of the classic models that were introduced into Sicily and Calabria at the beginning of the twentieth century. Another original way of wearing badges comes from the lads from FAD who had the idea of putting badges on their entry passes, a great idea for not losing sight of them. The best thing about it is that at the end of the event the pass became the perfect souvenir of all the festival days. 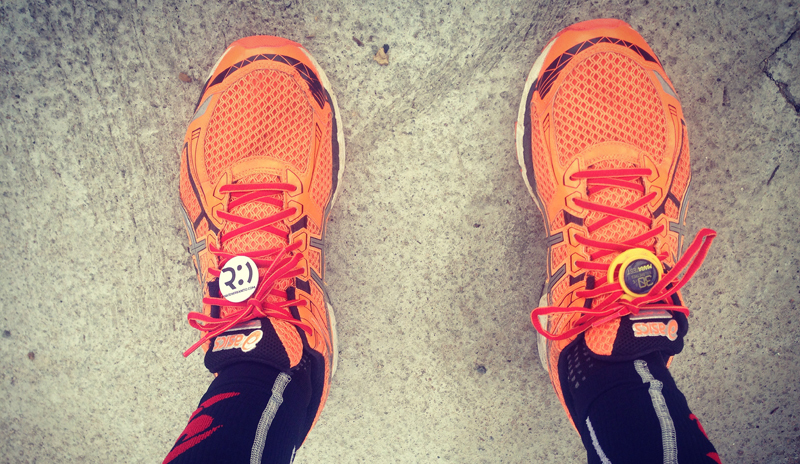 Every day we receive original and funny photos from our customers, but when we saw this photo David managed to bring a smile to our faces putting badges on his trainers. It is a special technique for not feeling tired.